BONN - Japan is expected to become the world’s largest solar energy market this year, with the installation of new solar power systems more than doubling capacity, a recent report by a U.S. research firm says. The domestic solar power market is forecast to reach $19.8 billion (¥1.91 trillion) in 2013, surpassing Germany, which was the biggest market from 2009 to 2012, according to the report by IHS Inc.
An estimated 5.3 gigawatts of generation capacity will be added this year, supplying output roughly equivalent to five nuclear reactors. While that is exceeded by the 6.8 gigawatts of new solar power systems projected in China this year, the price of the equipment is expected to make Japan the largest market in terms of value, the report said. The use of solar power in Japan has accelerated since the so-called feed-in tariff scheme for renewable energy was introduced in July 2012 to help offset the loss of nuclear power caused by the repercussions of the Fukushima disaster, which has led to nearly all of the nation’s 50 reactors to be idled over nuclear safety concerns. In the first quarter alone, a total of 1.5 gigawatts worth of solar power systems were installed, up from 0.4 gigawatt in the same period last year. Installations in Europe declined 34 percent due partly to falling prices for solar electricity sales conducted by power firms, IHS said. While global suppliers in the solar power industry are being drawn to Japan’s market, domestic firms continue to dominate the market for residential systems, which account for nearly 40 percent of all demand in the country, because consumers are showing a strong preference for domestic brands, IHS said. Two other research entities, including Bloomberg New Energy Finance, also project that Japan’s solar power market will become the world’s largest this year. Developers of solar projects in Hokkaido are being forced to rethink their plans after the prefecture’s sole utility received applications for large-scale solar plants that would exceed the grid’s capacity. 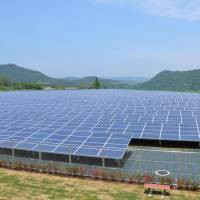 Hokkaido Electric Power Co. officials have met with applicants to explain that it can’t add any more solar to its grid if projects are 2 megawatts or larger, said Satoshi Takada, a spokesman for the utility. By the end of March, applications for grid connections totaled 1,568 megawatts for plants of 2 megawatts or larger, according to an April 17 statement from the utility, which said it had capacity for only 400 megawatts. The case highlights growing concern about transmitting power from renewable sources to the nation’s grid as it expands solar installations following the July 2012 introduction of above-market rates for clean energy. 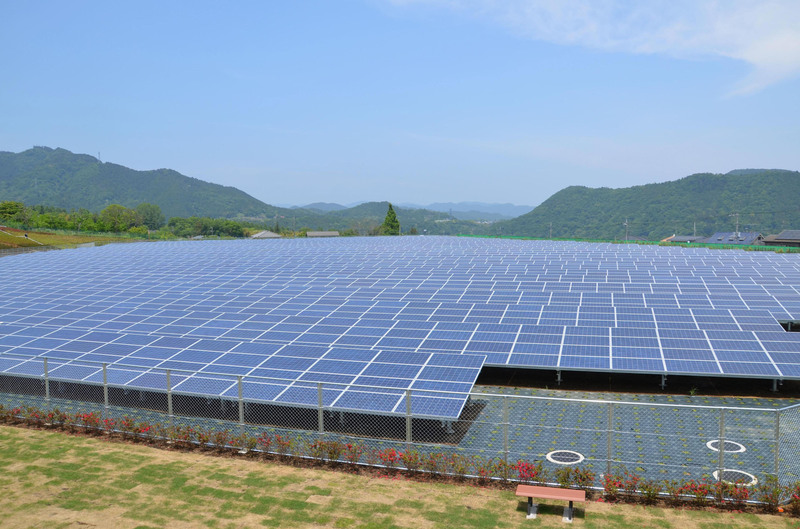 As one response, the Hokkaido utility plans to install a storage battery system at its Minami Hayakita substation in the southern town of Abira to stabilize the flow of solar power onto the grid, according to Takada. Hokkaido is attracting the biggest share of Japan’s solar projects because it offers large patches of inexpensive land, the Ministry of Economy, Trade and Industry said in a statement April 17.